Gov. Pat Quinn signed a nursing home reform package today aimed at keeping mentally ill and violent offenders out of the general population in long-term care facilities. “Because all of [us] recognize that one day it could be us. Today, it could be our parents or our grandparents who are living in a nursing home. And we don’t want them in a situation where they are not getting the care they need. 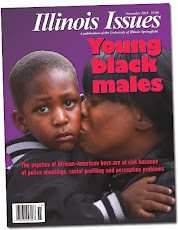 And we don’t want them in a situation where they are potentially being harmed by criminals,” Attorney General Lisa Madigan said at a Chicago news conference. The legislation was prompted after the Chicago Tribune reported on violent incidents that occurred when younger mentally ill patients were housed with elderly patients. Under Senate Bill 326, potential residents will undergo screening and background checks. Mentally ill patients could only be accepted to nursing homes specifically certified for handling such patients. The bill sets specific staff-to-patient ratios, and nursing homes will also face greater reporting standards and regulation. The legislation also created work groups of state agencies and other stakeholders, which have started to meet to study implementation strategies and possible expansion and funding of residential and community-based care options. Health care and senior citizen advocates praised the measure but warned that it is not a cure-all. “More work does need to be done.The racial disparity issues prevalent in many Chicago nursing homes need to be addressed. And we also need to ensure that community based options are available for both residents and potential residents in nursing homes,” said David Vinkler, associate state director for AARP of Illinois. “We’re going to celebrate today. but this fight is not over. … We have to fix the way nursing homes are funded in this state. It is the funding that produces low wages, that produces low staffing, that produces horrendous care,” said April Verrett, executive vice president of Service Employees International Union Healthcare for Illinois and Indiana. An amendatory veto issued by Gov. Pat Quinn on Tuesday would allow citizens to present legislation related to campaign finance reform and ethics to the General Assembly for a vote, but it may also step on the toes of the Illinois Constitution. The ethics initiative that I propose gives the people of our state the ultimate power to express and protect their interests: the power to change state law. Too often, issues such as ethics and campaign finance reform get pushed from the forefront. Voters need a safety valve to ensure that ideas, however inconvenient or unpopular for incumbent officeholders, proceed through the legislative process. However, this may go too far in placing legislative power in the hands of citizens. “The [Illinois] constitutional document sets down certain power that the Executive, Judicial and Legislative branches have, and the legislature cannot just give away its power to introduce and pass laws. ... [These changes are] purporting by statute for the legislature to essentially cede part of its constitutional authority — to make laws — to citizens,” said political scientist Kent Redfield, an emeritus professor at the University of Illinois Springfield and director of the Sunshine Project, a nonprofit campaign contribution database connected to the Illinois Campaign for Political Reform. The legislative power to pass laws is a mighty power. My recommendation below does not detract from the General Assembly’s constitutional authority. Under my proposal, the General Assembly retains its full lawmaking authority. Redfield said it is doubtful that the legislature would approve the veto or an earlier amendatory veto that would create an open primary election system. He says they are likely just vehicles to get Quinn’s message out to voters. Employees working in state law enforcement would have their performance evaluations sealed from the public under an amendatory veto issued by Gov. Pat Quinn. House Bill 5154 originally blocked all public employees’ performance evaluations from potentially being accessed under the Illinois Freedom of Information Act (FOIA). However, Quinn said in his veto message that such a broad exemption would undermine FOIA reform approved just last year. Quinn said law enforcement evaluations could be used to influence the criminal justice process. “If disclosed, these evaluations could be used by criminal suspects or defendants to undermine a police investigation or attack the credibility and integrity of a police officer." Opponents say it is too soon to make any changes to the new FOIA regulations. “This is poor public policy on so many levels. The new FOIA law needs to be given time to work before being assaulted with attempts to make changes and exemptions. We urged the Governor to veto the entire bill and still believe that was the best action to take.” Dennis DeRossett, executive director of the Illinois Press Association, said in a written statement. Supporters of the original legislation point to its bipartisan support from lawmakers and say that opening up the records could interfere with the evaluation process. Managers considering the possibility of an evaluation becoming public may not be as honest with criticism. “We had urged the governor to sign the bill. It was commonsense legislation to preserve the confidentiality of private records containing personal info ... not just for reasons of personal privacy but in order to ensure that managers at all levels of government know that their evaluations will serve their intended purpose,”said Anders Lindall, spokesman for Council 31 of the American Federation of State, County and Municipal Employees, state government's largest union. Gov. Pat Quinn issued another amendatory veto today that drastically changes the content of the original bill. Earlier this month, Quinn plugged an open primary provision into a bill that originally required the State Board of Elections to post voter guides with candidate information on its website. Under the new version of HB 5206, proposals that receive 100,000 petition signatures would be drafted into a bill and voted on by the General Assembly. If the legislation failed to become law, it would go onto the ballot as an advisory referendum, which does not have any binding legal power. Quinn floated the idea of allowing voter initiatives for ethics measures last year while the legislature was fighting it out over campaign finance reform, and proposals from his Illinois Reform Commission were largely failing to gain traction. Quinn's amendatory veto could raise questions of constitutionality. Check back tomorrow for more analysis. When Illinois voters head to the polls in November, they may cast two votes to fill President Barack Obama’s former U.S. Senate seat. An appeals court ruled that voters must choose a candidate to finish out the last of Obama’s term, from November until the January inauguration of new senators. “[The court's] interpretation of the U.S. Constitution does not allow states to fill a [U.S.] Senate vacancy by appointment,” said Ron Michaelson, executive director of the Illinois State Board of Elections from 1976 to 2003. Roland Burris currently holds the seat after a controversial appointment by former Gov. Rod Blagojevich. The defense is wrapping up its closing argument today in Blagojevich’s corruption trial. The charges against the former governor include trying to sell the U.S. Senate seat for campaign contributions or personal gain. Judge John Grady of 7th Circuit U.S. Court of Appeals is working with officials to help ensure the state meets its constitutional requirements. Michaelson said Illinois election law is basically silent on this scenario because it has never been anticipated. The special election would occur on November 2 along with the general election. With little time to hold a primary, it seems likely that parties would be allowed to slate their own candidates, so that lineup would likely be the same: Republican Mark Kirk vs. Democrat Alexi Giannoulias as the major party candidates. Burris did tell Chicago reporters, however, that he intends to make a bid for the ballot. Any independent candidates who met the signature requirements for the general election would also be allowed on the ballot for the special election. As for the speculation that candidates would be able to hit up donors who have already surpassed federal contribution limits because they would now be fundraising for the special election, Michaelson said that is up in the air, too. So the choice presented by this special election would probably be in name only. Voters would get to choose Obama’s two-month replacement without a primary, specifically for the special election. But, at this point, any alternative would be costly and difficult to pull off. A jury could begin deliberating the fate of former Gov. Rod Blagojevich as early as Tuesday. The defense in Blagojevich's federal corruption trial rested Wednesday without calling a single witness to refute the prosecution’s corruption case against the former governor. Blagojevich opted not to testify, even though his lawyer, Sam Adam Jr., had told jurors during opening statements that his client would take the stand. Adam said at a Chicago press conference that the government did not prove its case, so there was no need to present a defense. He acknowledged that telling jurors Blagojevich would take the stand and then changing strategy could damage his client's credibility. The jury has been instructed not to take the change in plans into account while deciding on Blagojevich’s guilt or innocence, but Adam said human nature dictates that it will likely play a factor. He plans to explain the decision to the jury during Monday’s scheduled closing statement, for which the Chicago Tribune reported he requested two and a half hours from Judge James Zagel. The jury will hear also hear from the prosecution and Robert Blagojevich’s defense team. The former governor’s brother is facing charges from the time he spent heading up his brother’s political fundraising operation. Zagel plans to give legal instructions to jurors on Tuesday and send them into deliberations. Zagel has not ruled on a motion to drop the conspiracy charges against Blagojevich but appears to believe there is enough evidence to move forward with the case. Zagel reserved the possibility that he may reconsider the motion after closing arguments. While it looks as if arguments could be wrapped up Monday, little in this trial has gone according to estimated schedules. The prosecution finished earlier than expected, and in a surprise move, the defense did not present a case. The Chicago Sun-Times reported that proceedings are running behind schedule today, and it is possible that could affect the plans for Monday. Former Gov. Rod Blagojevich opted not to testify at his corruption trial today, and his defense team rested its case without calling a single witness. Blagojevich’s lawyers said that the prosecution did not prove its case, so there was no need to respond with testimony from defense witnesses. “They’re the ones that failed to prove the case here. … The law is clear: The burden of proof is on the government,” said Sam Adam Sr., who heads Blagojevich’s legal team. The jury did hear from Blagojevich’s brother, Robert, who had chaired his brother’s campaign fund since August 2008. Robert Blagojevich is on trial in connection with an alleged plot to sell Barack Obama’s former U.S. Senate seat, and his defense team decided to put him on the stand. Robert's wife, Julie Blagojevich, also testified. Sam Adam Jr., who is defending the former governor alongside his father, had told jurors in his opening argument that they would hear from Blagojevich. He said today he still wants Blagojevich to testify, but his father’s opinion prevailed in the end. “It simply came down to an argument between an old bull and a young toad, and the old bull won,” the younger Adam said to reporters at in the Dirksen Federal Building in Chicago. Part of the defense’s strategy is to claim that Blagojevich was seeking the advice of lawyers during the secretly recorded phone conversations, which include speculation on what he could get in return for an appointment to Obama’s former Senate seat, the government presented as evidence. He called the conversations “brainstorming” with advisers and lawyers and said he never intended to do anything that broke the law. Blagojevich’s lawyers argued to have the conspiracy charges against their client tossed out on the basis that prosecutors did not prove their case. Judge James Zagel adjourned without ruling on the request. Lawyers are due back in court tomorrow morning. Closing arguments could begin as early as Monday. However, he declined to make the statement under oath and continued to ignore legislators’ calls that he field questions. Unlike during the criminal trial, Blagojevich pushed to call witnesses during his impeachment trial, saying their testimony would be key to proving his innocence. He cited not being able to call certain witnesses as one of his reasons for not answering questions. It is painful to be in a car and drive and see people sitting, standing at bus stops or walking down the street who voted for you, presumably, more of them did than didn't, and they've hired you and trusted you, and you're dying to tell them, I didn't do it, I didn't let you down, give me a chance to show you. It's painful, and it's lonely. But I want you to know, I want you to know I never, ever intended to commit a criminal act. I never, in any conversation, intended to violate any criminal law. He could have put himself under oath and faced my questions and more importantly, much more importantly, faced your questions. But he didn't do that, did he? … He talked more about the evidence with Barbara Walters on The View than he did in this chamber today where he's facing impeachment and removal from office. He could have been here, and he wasn't. He could have provided the context for those recorded conversations, and he didn't. … He simply says there's no evidence and walks off the stage. The defense tactics Blagojevich chose did not pan out for him at his impeachment trial. The Senate convicted him and removed him from office. However, that was a group of legislators, and with their positions comes inside knowledge of the system, personal experience dealing directly with the governor and political baggage. An impeachment trial is not a criminal trial. Time will tell if similar arguments from Blagojevich’s defense will persuade a jury that the state failed to prove its case. Gov. Pat Quinn appointed a new director to head up the Department of Juvenile Justice (DOJJ) and oversee an agency merger that he said is coming before the end of the year. Quinn named Arthur Bishop, who is currently the deputy director of field operations for the Department of Children and Family Services (DCFS), as acting director of DOJJ. Quinn said he wants Bishop to be the “quarterback” leading the merger of the two agencies. Bishop will replace Kurt Friedenauer starting August 1. As a first step to the eventual merger, Quinn signed legislation earlier this week that allows the Department of Child and Family Services to share resources with DOJJ. Kendall Marlowe, a DCFS spokesman, said that his agency could help youth offenders by offering services such as placement in a safe environment after they have spent time in a detention facility, mental health treatment or programs to help prepare them for careers or higher education. Quinn says kids in both systems often have similar needs because they face similar obstacles, such as abuse addiction and mental health issues. “The overwhelming majority of young people in detention are struggling with the effects of childhood mistreatment, and they would benefit from a system that understands that trauma often can lead to difficult situations, and we must relieve the trauma,” Quinn said at a Chicago press conference. Both Bishop and Marlowe said that stakeholders have been in talks for months on the merger. Marlowe said his agency is moving forward under the assumption that it will be a reality before the end of the year. Bishop said he hopes the merger will help “ensure first of all that there is safety in the community to hold youth accountable.” But also, “do a thorough assessment so that we can determine the needs of those youth so that those that are appropriately ready to be discharged from the [DOJJ] that they will be discharged into a community that’s prepared to receive them, that’s prepared to meet their needs so we can then reduce recidivism. Quinn announced his newest cuts made with the budgeting powers the General Assembly granted him in the “Emergency Budget Act." Quinn and his nonunion staff will take 24 furlough days this fiscal year. They took 12 unpaid days off last year. The governor made this move after facing criticism over giving his employees pay raises while calling on government agencies and citizens to “share the pain” of the state’s fiscal crisis. Quinn said the furlough days are equivalent to about a 9 percent pay cut. Quinn added that he has cut his budget more than any other executive agency and some of his staff has taken on new responsibilities. Gov. Pat Quinn took action today to create an open primary system in Illinois. Quinn used his amendatory veto power to alter a House Bill 4842, which would require the State Board of Elections to create voter guides for primaries. He did nothing to change the original thrust of the legislation, but tacked on a provision that would end the requirement that Illinois voters declare a party to participate in primary elections. The original bill was a response to Scott Lee Cohen’s surprise win of the Democratic Party’s lieutenant governor nomination. He stepped down amid a growing media storm after allegations surfaced of drug use and violence in his past. He is now making a bid for governor as an independent. After that embarrassment, lawmakers felt more should be done to inform voters about primary candidates in what is often a wide field of choices. But Quinn took the subject matter of the bill as an opportunity to go after an aspect of Illinois’ primary system that has been a point of controversy stemming back from the days of machine-style politics. Under Quinn's changes, voters would still only be able to vote for one party, but they would make the choice privately inside the voters’ booth. Quinn cited combating political revenge, protecting privacy and increasing voter turnout, which was at record lows for last February’s primary, as his reasons for the change. “Unfortunately in our state there are those in politics who’ve decided who gets employed or who gets fired based on how they vote in a primary. A lot of folks, good folks who are registered voters, don’t come out to vote in a primary because they are afraid to disclosure their party affiliation because they are afraid that that may have economic consequences or social consequences for them on their job or in their neighborhood,” he said at a Chicago press conference. However, parties have arguments for wanting to know who is on their team in the primary. One way to vet the party loyalty of newcomer candidates is to check their voting records. With voter demographics and party support shifting in many legislative districts, parties may want to make sure the “new guy or gal” they are backing is not just using the party mantle to win a seat. There is also concern that a party would make an organized effort to get the candidate elected in the opposition’s primary that they consider easiest to defeat. Of course, it is arguable whether either of these scenarios actually happen on any wide scale. There is also a potential public interest in being able to access the voting history of players in Illinois government, such as lobbyists, contractors and campaign contributors. In making a change that is often viewed as a reform, Quinn is calling out the legislature, which would have to approve the veto but can wait until after November to take it up, possibly creating a campaign issue in the gubernatorial election. “Part of my job between now and then is to let the people know who’s for an open primary, and protecting the privacy of the voter, and who’s not. There are some politicians — they’ve been there a long time — they vote no. They want to know how you vote. They want to know what political party. They think government should but in on your conscientious decision on who you vote for and how you vote,” he said. Some legislators may resent the move that could be viewed as a decree or an overstep of the governor's authority, especially because the Senate shot down an open primaries bill just last year. Quinn himself said today that a “crowbar” was necessary to “open up the process.” Quinn's Republican challenger, Sen. Bill Brady voted "no" on the bill, which is something the governor may be trying to highlight. It is possible the legislature will challenge the veto based on the idea that it has little to do with the original intent of the bill. “[Senate President John Cullerton] is generally supportive of measures designed to increase voter participation. However, the General Assembly will conduct a compliance analysis to determine if the governor's actions today alter the fundamental purpose of the original bill. This analysis and any formal legislative action will begin in the House,” Cullerton spokesperson Rikeesha Phelon said in a written statement. Illinois is embarking on a new plan to help tackle its Asian carp problem based on the idea that one person’s ecological threat is another one’s dinner. Gov. Pat Quinn announced a public-private partnership with an Illinois and Chinese company to catch and sell the fish overseas. “They’re 100 pounds, 5 feet long and they jump out of the [water] when they hear a motorboat. We’d better find a way, an American way, to take this challenge and convert it into an economic opportunity,” Quinn said at a Chicago press conference. The invasive species, which is prevalent in downstate waterways, has become a point of controversy and the basis of a lawsuit because of concerns that it might find it’s way to into the Great Lakes. The carp can damage the ecosystems they invade by competing with native species for resources. Under the new plan, Illinois will award a $2 million grant through the Illinois Department of Economic Opportunity to the Big River Fish Corporation, a processing company located in Pearl. The company will use the funds to update that plant and expand with new facilities in Pittsfield. According to Quinn, Big River Fish will create 61 new positions. Under the agreement, the company is expected to harvest 30 million pounds of Asian carp that it will then ship to the Chinese company, Beijing Zhuochen Animal Husbandry Company, for sale in international markets. Commercial fisherman currently remove carp from Illinois lakes and rivers under a contract with the Illinois Department of Natural resources. As former Gov. Rod Blagojevich’s corruption trial continues in Chicago under a high level of media scrutiny, Gov. Pat Quinn approved two bills that are direct responses to the former governor’s alleged misdeeds. Jurors have recently been listening to recorded phone conversations in which the former governor speculates on his possible choices to fill President Barack Obama’s former U.S. Senate seat, as well as possible future high-paying jobs for himself. Blagojevich is accused of trying to sell off the Senate seat for campaign contributions or personal gain. The prosecution is expected to wrap up their case as early as today. Blagojevich's lawyers requested a week-long break before they start the defense, claiming prosecutors will finish earlier than expected. After Blagojevich’s impeachment and removal from office, legislators introduced a flurry of measures intended to prevent future corruption similar to the accusations against the former governor and, in some cases, reprimand him for his alleged infractions. The impeachment also produced a hotly debated campaign finance reform measure as well as procurement reform and heightened ethical standards for state employees. Now some of those proposals are becoming law. Over the weekend, Quinn signed Senate Bill 2551, which requires public officials convicted of corruption to hand any money garnered from their corrupt actions over to law enforcement agencies. The measure is modeled on existing anti-drug laws. Quinn also approved House Bill 5109, which prohibits public funds from being spent on a portrait of a governor who was impeached and removed from office. A portrait of Blagojevich could hang in the “hall of governors” in the Statehouse, but it cannot be paid for with state dollars. Both measures go into effect January 1, 2011. While K-12 education is still taking a hit under the budget plan Gov. Pat Quinn outlined last week, funding levels have improved since the Illinois State Board of Education laid out its budget last month. $84 million from student transportation. $68.5 million from reading improvement grants and $70.5 million from other grant programs. $2.1 million from the ISBE operations budget. Quinn also vetoed the $16 million appropriation in the General Assembly’s budget for hold harmless funding. The ISBE budget zeroed out several high-profile programs. Funding has been restored for many of those programs, but not all would be back to fiscal year 2010 levels. Under Quinn’s plan, advanced placement classes, agricultural education, alternative education for at-risk students and arts and foreign languages would all be funded at 80 percent. All the funding would be restored for the After School Matters program and Teach for America. Funding would not be restored for the school breakfast program , nor for the longitudinal data system, which is intended to track student’s performances over their K-12 education careers. That system is an important part of the state’s Race to the Top application, but Mary Fergus, a spokesperson for ISBE, said that the cut should not hurt the state’s bid because Illinois has received millions in federal grants for the system. The money for such programs is doled out through grants known as mandated categoricals, which are separate from foundation level funding , the amount allocated per student. However, David Comerford, a spokesman for the Illinois Federation of Teachers, said people should not mistake categorical grants as unimportant or expendable. Comerford added that most of the more than $1 billion the state already owes schools is for mandated categoricals. “It’s still a key funding source that helps pay salaries. … Categoricals can’t be looked at as extra curriculars. … That’s day-to-day education stuff. It’s not frivolous side programs,” he said. At the close of the 2010 fiscal year, Illinois is running a record tab of unpaid bills and making payments more slowly than ever before. According to Comptroller Dan Hynes’ quarterly report on state finances, Illinois rolled over $4.7 billion in unpaid bills into the new fiscal year. Not all the bills have come in, and the comptroller estimates that number could reach $6 billion by the August 31 deadline for submitting payment requests. The number of unpaid bills at this time last year was almost $2.8 billion. The state takes on average 153 workdays to fulfill a payment request, up from 99 days last year. The General Assembly passed and Gov. Pat Quinn approved a measure that gives Illinois until December 31 instead of the usual August deadline to pay its bills from last fiscal year. Hynes estimates that after those debts are paid, Illinois will face its biggest budget deficit to date. The current shortfall is $4.692 billion. Part of that deficit is due to drops in revenue. Income tax revenues, both personal and corporate, were down $1.6 billion at the end of fiscal year 2010. Sales tax collections were down $465 million. Taxes from other sources, such as investment income, insurance and inheritance tax, were down $123 million. Revenues from last fiscal year fell $1.3 billion short of projections. So, according to Quinn’s Office of Management and Budget, Quinn, Hynes and State Treasurer Alexi Giannoulias have agreed to move forward with $1.3 billion in borrowing to make up the gap. The cash is expected to come in near the end of July and will go to pay down the backlog of bills. Hynes’ report says without this borrowing, Quinn’s newly approved power to shift money from special funds to the general revenue fund and the securitization of national tobacco settlement payments, which will produce $1.2 billion upfront, Illinois would have no hope of meeting the extended December deadline to pay off last fiscal year’s bills. A rigid gun control ordinance passed by the Chicago City Council last Friday is already facing a legal challenge. After the U.S. Supreme Court ruled early last week against the city’s 1982 handgun ban, the city council moved quickly to approve stringent limits on gun ownership. Those wanting a handgun in the city would have to register it with Chicago police. Residents 18 to 20 years old would need approval from a parent who is also eligible for an Illinois Firearm Owner Identification Card. The lawsuit filed Tuesday claimed that a provision targeting a specific age group with more requirements is unfair. To register a gun, individuals must take training both in a classroom and on a firing range. Households would be limited to only one operational gun, which must be kept inside the residence. It would not be allowed in a yard or garage or on a porch. Gun shops and firing ranges would be banned in the city. The four other plaintiffs, all Chicago residents, want to keep more than one operational gun in their homes for self-defense. "The actions of Mayor [Richard] Daley demonstrate a clear disregard for the rule of law and our nation's highest court," Whitney O'Daniel, executive director of the Illinois Association for Firearm Retailers, said in a written statement. However Mara Georges, the city of Chicago’s corporation counsel, says the ordinance recognizes individuals' Second Amendment rights while considering the safety of the community as a whole. “This ordinance effectively balances the right to posses a gun in the home for the purpose of self defense with the substantial risks to public safety that are associated with guns,” Georges said at a Chicago news conference. This is shaping up to be a protracted legal battle, and it is fair to say that nearly all of the provisions in the ordinance will likely be challenged in court eventually. Chicago could potentially become the test case for which restrictions on gun ownership the courts will tolerate. Daley, a long-time advocate of the ban, says he respects the U.S. Supreme Court ruling but stands by the new restrictions. “As a civilized society, we have a right, in an industrial society, to protect all of our citizens. … As mayor, I must balance the interests of abiding by the U.S. Supreme Court’s ruling with my responsibility to protect the people of Chicago and keep them safe. … We believe we have accomplished this in this ordinance,” he said at a Chicago news conference. Illinois’ weatherization program upgraded twice as many homes in the past year after putting federal stimulus funds to use. The Weatherization Assistance Program has been around since 1976 and operates in all 50 states. The program uses federal funding to make the homes of low-income residents more energy efficient. Common improvements made through the program are sealing windows and doors, adding insulation and upgrading heating systems. The Illinois program has stepped up its efforts with $240 million in funds from the American Recovery and Reinvestment Act to be spent from 2009 to spring 2012. Last year, more than 17,000 households benefited from the program, up from 8,000 the previous year. According to Dalitso Sulamoyo, president and chief operating officer of Illinois Association of Community Action Agencies, the new money has created 500 jobs. The association is working with the state to implement the program. Sulamoyo added that weatherization saves households more than $400 annually on average. Efficiency is increased from 15 to 30 percent, compared with costs before weatherization. But once the federal money runs out, the new jobs may dry up as well. Sulamoyo said his organization hopes the higher funding level will be extended past 2012. However Congress has yet to bend to pressure from the states to continue elevated levels of stimulus funding to education and Medicaid. Larry Dawson, deputy director of the Illinois Department of Commerce and Economic Opportunity, says the program got off to a slow start because of some administrative delays. But he says Illinois is now second in the country for the number of residences weatherized this year. Fred Bates, a Springfield resident whose house is being weatherized through the program, said he found out about the opportunity through the Low Income Energy Assistance Program because of his high utility bills, which he said ran more than $1,000. Bates said he thinks new insulation, along with other improvements, will make a big dent in his costs. Workers weatherizing his home also found a small gas leak, which has since been repaired. “We were heating the outside more than we were the inside. Now, summertime, you’ve got the air conditioning unit on and it cools down but you have to keep it on for so long. So I can’t imagine what my bill is going to be,” Bates said. Assessors for the program say they often find dangerous conditions such as gas leaks and high levels of carbon monoxide due to faulty heating units. A family of four earning up to $44,000 is financially eligible for the program. Before making repairs, assessors perform energy audits to determine which improvements will save the most money in ratio to the initial investment needed. House Bill 6099 requires commercial lawn care companies to test soil before applying phosphorous fertilizers. The soil has to show a deficiency of the element before the fertilizer could be used. Phosphorous has been linked to a 6,300 square-mile dead zone in the Gulf of Mexico, where algae chokes out most other life. The bill went into effect once the governor signed it. For more on HB 6099, phosphorous and the dead zone see the current (June/July) Illinois Issues, page 32. Senate Bill 2951 is intended to protect bicyclists from threats. The new law will make verbally harassing or “crowding” a bicyclist by driving dangerously close a misdemeanor punishable by up to one year in prison and $2,500 fine. The law also protects pedestrians and individuals riding horses or driving a vehicle pulled by an animal. Senate Bill 2798 creates a “Share the Road” cycling-themed license plate. Money from plate sales will go to the League of Illinois Bicyclists for safety education programs. Twelve other states participate in the program. Both bills will go into effect January 1. For more on biking in Illinois, see the current (June/July) Illinois Issues page 22. Senate Bill 3012 creates a pilot program that for grace period voting and early registration on college campuses during the general election in November. It took effect upon Quinn’s approval. Quinn said today he does not expect the Senate to return the Capitol before November to vote on almost $4 billion in borrowing to make the required pension payment for this fiscal year. Quinn said Senate President John Cullerton plans to call his chamber back on November 4. When legislators do come back, Quinn expects them to approve the measure. “The members of the Senate, they have a duty to look at a bill that passed the House dealing with borrowing. We have been told by the Senate president that that will be addressed, and we expect him to do it. And when he does it, calls the bill, then they’ll have a vote, and I am sure it will pass,” he said at a Chicago press conference. After a U.S. Supreme Court ruling, which will likely mean an end to the city’s 1982 handgun ban, the Chicago City Council passed an ordinance today that would strictly limit gun ownership. The council voted 45-0 to approve the measure in response to Monday’s Supreme Court ruling that residents have the right to have a handgun in their homes for protection. She added that dormitories, hotels and group living facilities are not considered homes under the measure. And for transportation, guns must be broken down and inoperable. Those wanting to own a handgun would have to get a city permit and register the weapon with the Chicago Police. They would also have to undergo classroom and firing range training. Those with convictions for violent crimes, domestic violence or two or more DUIs would not be eligible for a permit. Gun owners would be limited to one functioning firearm per household; additional guns would have to be broken down. Guns in homes with children younger than 18 would need to be stored in a lock box or have a trigger lock. The ordinance prohibits gun shops or firing ranges, with the exception of those used for police training, in the city. Those who may already have handguns have 90 days to register them. After then, the penalty for a first time violation of the ordinance is a fine of up to $5,000 and up to 90 days in jail. According to Georges, anyone convicted of a gun offense who lives, works or attends school in Chicago would have to register, and the list would be posted online. “As mayor, I must balance the interests of abiding by the U.S. Supreme Court’s ruling with my responsibility to protect the people of Chicago and keep them safe. …We believe we have accomplished this in this ordinance,” Mayor Richard Daley said in Chicago. Advocates for Second Amendment rights say they plan to challenge several aspects of the ordinance. Both they and Daley expect a long legal battle. Gov. Pat Quinn unveiled his plan this morning to cut the state budget but left wiggle room for changes down the road. Quinn says his almost $25 billion budget will cut $1.4 billion from last fiscal year's total. $84 million in student transportation. $68.5 million in reading improvement block grants. $2.1 million from the State Board of Education's operating costs. $70.5 million in support for grant programs. Quinn vetoed all $15,670,600 allocated in the budget for hold-harmless funding, which was created to help schools adjust to a change in the funding formula. It was not meant to be permanent, and there have been past proposals to phase it out gradually. $86 million from public universities. $14 million from community colleges. $49.8 million from operations, which will affect local offices as well as state hospitals. $262.8 million from grants for non-Medicaid mental health and developmental disability programs. These cuts will limit eligibility for those programs and slow down the payment cycle for developmental disability service providers. $17.4 million from the Department on Aging. $17 million from the Department of Public Health. $6 million from the Department of Children's and Family Services. $15.4 million from Illinois State Police. If the state is going to hold to an agreement it made early this year with the American Federation of State, County and Municipal Employees Council 31, agencies have to make these reductions without affecting facilities such as prisons or causing closures or layoffs. In return, AFSCME agreed to forgo pay increases and find savings in health care costs. The only agency that will see an increase in funding is the Department of Health Care and Family Services, where the budget went up by $162 million. The department will have to make a $7.2 million cut in operating costs. About $169.2 million will go toward getting certain Medicaid providers on a 30-day reimbursement cycle, which is required to capture a higher match of federal funds. Quinn’s budget continues to rely on an extension of the elevated federal match, which is 62 cents on the dollar instead of 50 cents. It is set to expire December 31, and a six-month continuation is stalled in the U.S. Congress. Although the budget goes into effect today, Quinn’s budget director, David Vaught, said the administration would work with agencies in July to make some tweaks. He said they also plan to borrow from special funds to help pay down the nearly $6 billion in overdue bills from fiscal year 2010. Vaught added the bills would be paid by the newly extended deadline of December 31. Quinn also signed an executive order that seeks to find savings in agency overhead, such as travel and printing costs. Those in the human services and education sectors say the governor can spell out his budget all he wants (including creating a website where citizens can track spending), but they can’t count on the numbers. “It really comes down, in a sense, to more of a wish list than a reality,” said David Comerford, a spokesman with the Illinois Federation of Teachers. While Quinn said he hopes to save as many education jobs as possible, Comerford said administrators are estimating that the majority of those laid off in the spring will not return in the fall. The $1.4 billion in unpaid bills from last fiscal year makes schools hesitant to count on getting all the money promised in this year’s budget. “They’re going to have to pay the backlog before they can even begin to pay this year’s [appropriations]. … The state already couldn’t live up to its promises this year. There is no reason to believe the state will next year,” Comerford says. Social service providers signed contracts with “estimated” reimbursement rates. So they have no solid numbers on what they will get paid for their services. Moss said his organization supports $4 billion in borrowing to make the pension payment, but the legislation lacks the needed support in the Senate. Vaught confirmed today that the state will make the pension payments. Moss characterized the borrowing as “the only way out before the election.” He said after the November election, social service providers will renew their push for an income tax increase. Regardless of what happens in November, schools, agencies and providers who serve vulnerable populations must plan their budgets for the 2011 fiscal year with the numbers the governor’s office gave them today and then hope the money they were promised, both in last year’s budget and today’s, comes in. “We have a very pessimistic view right now of what is coming down,” Moss said.